I love Forever Sessions (aka engagement shoots) in New York City! As we can casually walk around without the timeline of a wedding day, we can find a new creative idea around each corner. Here, we asked the couple to stand very still to catch the blur of motion around them. 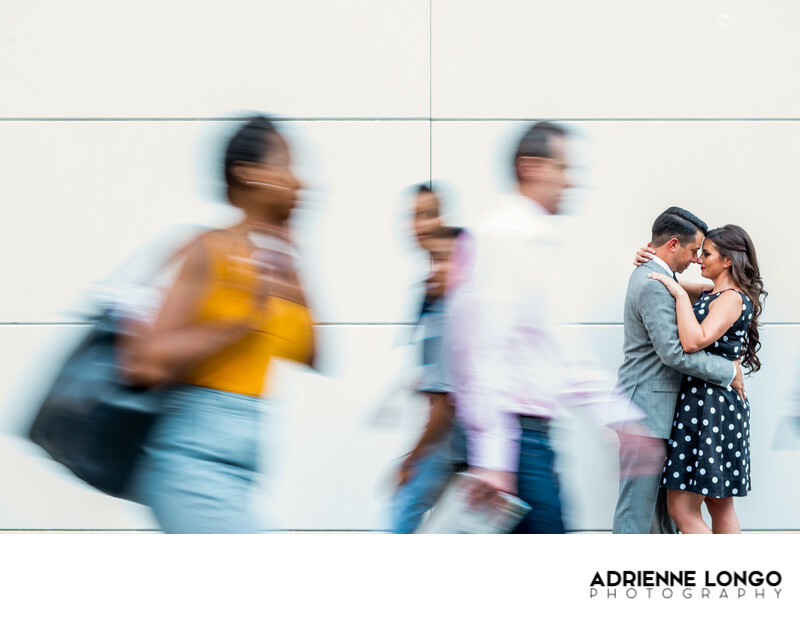 The hustle and bustle of the people walking by is a fun contrast with the couple, just focusing on each other. It's as if they don't realize anyone else is around them. Any time a couple asks to have a photo session in NYC, I'm excited! Location: new york, ny .